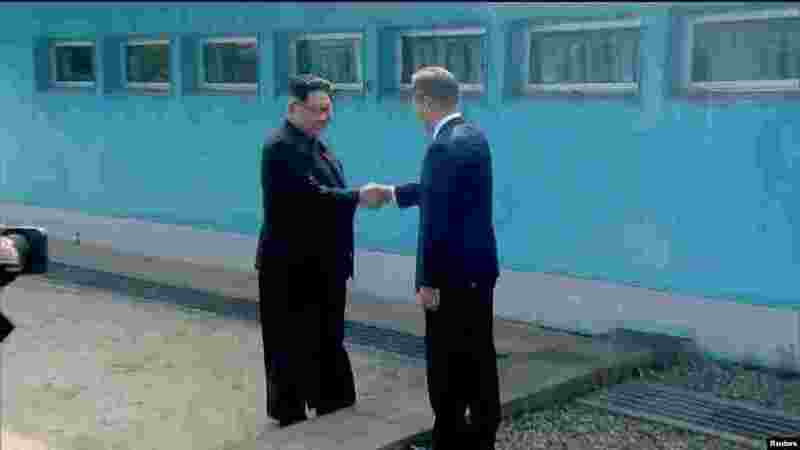 North Korean Leader Kim Jong Un and South Korean President Moon Jae-in met at the village of Panmunjom, the historic site where the Korean War armistice was signed in 1953, for the start of talks between the two countries. 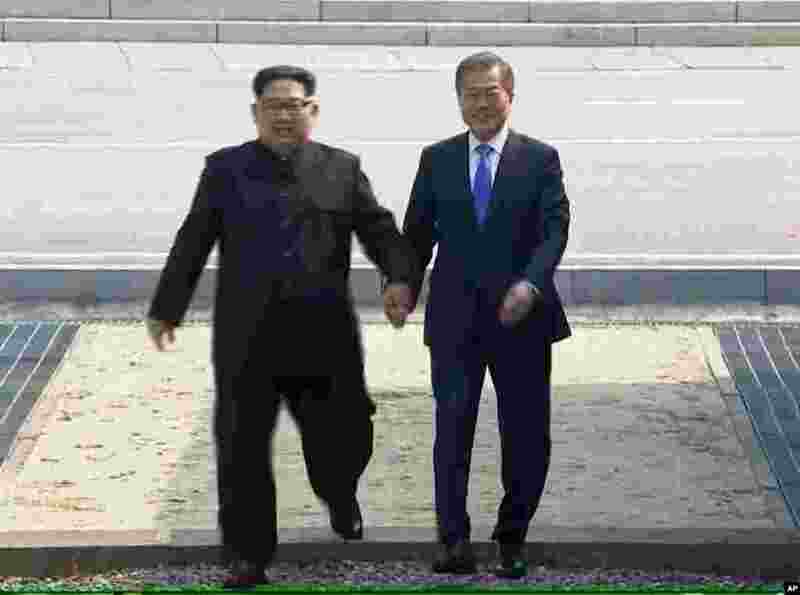 This is the third inter-Korean summit, but it's the first time that a leader from the communist North entered the democratic South. South Korea held a welcoming ceremony for the North Korean leader, including a military honor guard review. 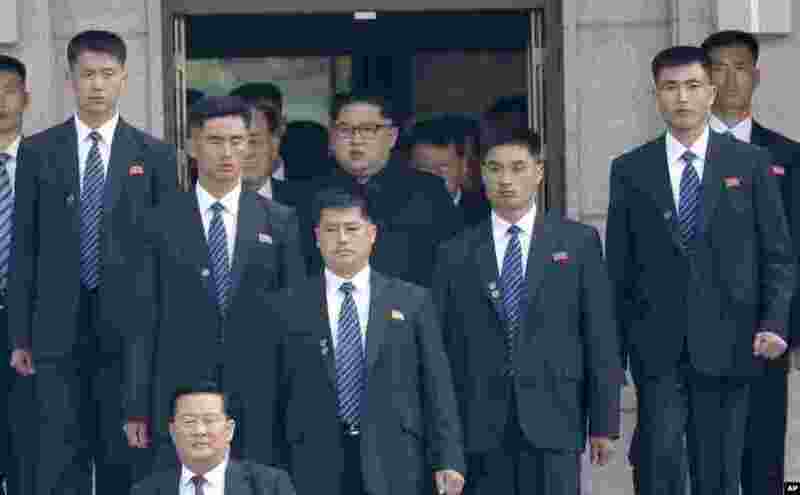 1 North Korean leader Kim Jong Un, center top, is surrounded by his security guards upon his arrival for a meeting with South Korean President Moon Jae-in at the North Korean side of Panmunjom in the Demilitarized Zone, April 27, 2018. 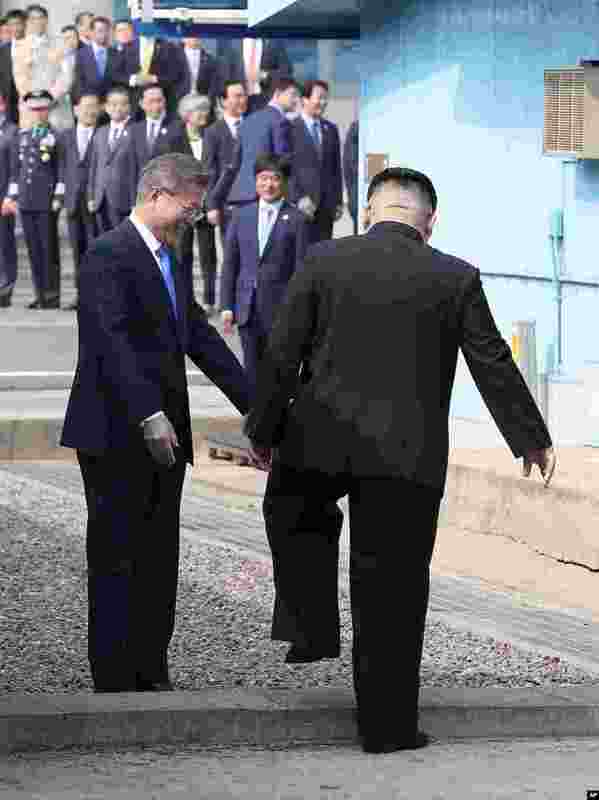 3 North Korean leader Kim Jong Un crosses the military demarcation line to meet with South Korean President Moon Jae-in at the border village of Panmunjom in the Demilitarized Zone, April 27, 2018.